Can Childhood Stress Affect the Immune System? Whether it’s growing up in gut-wrenching poverty, dealing with dysfunctional family dynamics, or coping with persistent bullying in school, extreme adversity can shatter a child’s sense of emotional well-being. But does it also place kids at higher of developing heart disease, diabetes, and other chronic health conditions as adults? Katherine Ehrlich, a researcher at University of Georgia, Athens, wants to take a closer look at this question. She recently received a 2018 NIH Director’s New Innovator Award to study whether acute or chronic psychosocial stress during childhood might sensitize the body’s immune system to behave in ways that damage health, possibly over the course of a lifetime. When children enter the first grade, their brains are primed for learning experiences, significantly more so, in fact, than adult brains. For instance, scientists have documented that musical training during grade school produces a signature set of benefits for the brain and for behavior—benefits that can last a lifetime, whether or not people continue to play music. Now, researchers at Northwestern University, Evanston, IL, have some good news for teenagers who missed out on learning to play musical instruments as young kids. Even when musical training isn’t started until high school, it produces meaningful changes in how the brain processes sound. And those changes have positive benefits not only for a teen’s musical abilities, but also for skills related to reading and writing. 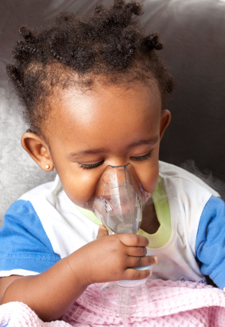 One condition for which NIH researchers are working to reduce disparities is asthma, the most common chronic condition that keeps kids home from school. Compared to white children, Puerto Rican youngsters are 2.4 times more likely to suffer from asthma, African Americans, 1.6 times; and American Indians/Alaska Natives, 1.3 times.